Georgie is a Society of Master Saddlers (SMS) Qualified Saddle Fitter and Master Saddle Fitting Consultant (MSFC). Georgie completed a BSc Hons degree at the Royal Agricultural University, Cirencester. Following this she worked as a Technical Manager for four years in the Fresh Produce Industry. 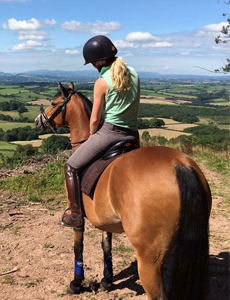 Following a year working for two Grand Prix level riders and travelling Australia and New Zealand, Georgie then joined her mother Terri, an experienced rider in her existing and successful saddle fitting business in Herefordshire. Georgie has utilised the key skills learnt in her previous roles in progressing G&T Saddles, developing a wider customer base and taking on new brands such as Albion, Black Country and Utopia. Georgie is now expanding G&T Saddles to have a second established base in East Yorkshire. As a child Georgie rode, hunted and produced ponies mainly for the show ring, enjoying success at a high level including Horse of the Year Show. 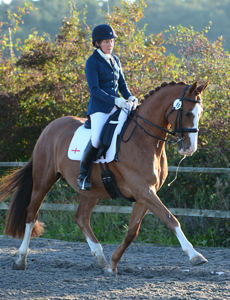 She has competed at the Junior Home International in Ireland and at the British Dressage Winter Championships. 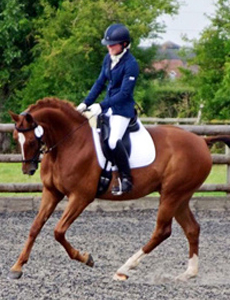 Terri has competed many horses to a high level professionally in showjumping and eventing in her earlier career. Along with her daughter Georgie, Terri continued to produce performance ponies in both showing and dressage. 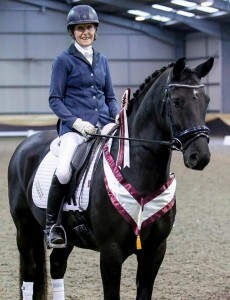 Now concentrating on dressage, she has competed at the British Dressage National Championships, Home International and is also a British Dressage Veteran Champion in the Novice with a home produced horse, Remus Debonaire. Terri trained and competed her own horse Vodea successfully up to Advanced Medium. The hands on experience that Terri has enables her to truly understand how your saddle needs to work for both you and your horse.